When a public stock’s price declines, it has become common practice for penny stock issuers and their disciples to scream foul play, typically claiming on message boards like Investor’s Hub that their company has fallen victim to stock “bashers” and naked short sellers. Short sellers and bashers are widely believed to be working with crooked market makers and nefarious clearing firms to send stock price tumbling downward. It is important that companies going public and public companies in the cannabis sector understand the risks presented by short sellers and the laws that regulate short sale activity. This is particularly important given the rise of activist short sellers who publicly disseminate negative information, in part to expose what they consider to be bad companies, but also to benefit financially from their short selling. Understanding the securities laws will assist cannabis companies in interpreting unusual market activity in their shares. What Might Make a Publicly Traded Cannabis Company Vulnerable to Short Sellers? Short selling naturally enjoys greater popularity when the public markets are generally perceived as vulnerable, when particular market sectors are doing poorly or, paradoxically, those sectors are thought to be doing better than their fundamentals suggest. Cannabis companies are a hot new sector. Well over 100 marijuana-related companies trade on the U.S. over-the-counter markets; the number fluctuates as some turn quickly to other lines of business and new entrants appear. While some of these issuers are SEC registrants, most are not. They offer varying levels of disclosure—sometimes, none at all—at the OTC Markets website, making accurate due diligence difficult. Only one cannabis company trades on a national exchange: GW Pharmaceuticals Plc. (GWPH), a United Kingdom biopharma, is listed on the NASDAQ. GWPH is, it says, “developing a portfolio of cannabinoid prescription medicines to meet patient needs in a wide range of therapeutic conditions.” With a market cap close to $2 billion and a stock price just under $80, it is scarcely a penny stock. That stock price took a dramatic tumble starting at the end of 2015, and the company is now threatened by a number of class actions. GWPH is currently being shorted, though short interest in the issue is not astronomical. Companies involved in the development of new drugs are always vulnerable. Clinical trials are expensive, and if they fail to produce the desired results, the companies’ stocks will be hit hard. Short sellers bet on that, and no doubt profited from GWPH’s recent decline. In the past few years, market participants have called increasingly for more transparency from shorts. In October 2015, the New York Stock Exchange petitioned the SEC, asking that it make a new rule instituting a short-sale activity reporting and disclosure regime applicable to institutional investment managers. Currently, short interest must be disclosed bi-monthly, but that disclosure consists only of a total figure; the identities of the shorts, and the size of their positions, are not provided. The NYSE proposed that institutional short sellers, like long institutional investors, make additional disclosure under Rule 13F-1, using Form 13F. Form 13F must be filed by all investment managers controlling accounts in excess of $100 million; the form is submitted within 45 days of the last day of each calendar quarter. In it, the manager must list all of his firm’s holdings as of the date in question. The NYSE believes that requiring institutional short sellers to make similar disclosure would, among other things, “allow investors to more accurately evaluate market movements.” A little more than a month later, the NASDAQ Stock Market sent the SEC a similar petition. Its proposals are generally in line with the NYSE’s though details are not spelled out. Needless to say, any new rules adopted will not affect over-the-counter issues. With the exception of GWPH and a few Canadian issuers like Canopy Growth Corporation (TSXV.CGC), the cannabis stocks that interest North American investors trade on the OTC Markets platform. Most do not actually grow and sell marijuana. There are dozens of companies that deal in legally unproblematic hemp and hemp derivatives, and more that sell pot “peripherals” like grow systems, dispensing machines, vapes, and bongs. Others, usually less successful, create informational websites, and apps that, for example, can guide a customer to the nearest or best-rated local dispensary. Currently, at the state level, the country is a patchwork of marijuana legislation. Medical marijuana is to some extent legal in 23 states and the District of Columbia. What can be sold, under what circumstances, and to treat what ailments varies widely. In California, nearly any medical complaint will win a prospective patient a Medical Marijuana Identification Card and a prescription; in other states, cannabis can only be used legally by people who suffer from only a handful of ailments like severe forms of childhood epilepsy. Recreational marijuana is legal only in Alaska, Colorado, Oregon, Washington and the District of Columbia. Possession of small amounts of pot has been decriminalized in some other states, but sales remain against the law. Even in “legal” states like Colorado, some counties and cities have chosen to prohibit sales, creating yet more confusion. In addition, permitting is complicated, and the rules are different in different locations. 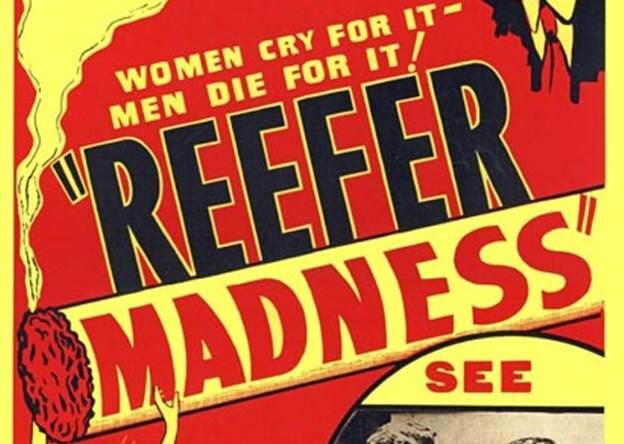 Worse yet, marijuana sale and use, even for medical purposes, is still a violation of federal law under the Controlled Substances Act of 1970. While the Obama administration has chosen not to prosecute states’ efforts to legalize the drug, and while activist groups are agitating for full federal legalization, a change in the White House and at the Department of Justice could dash the movement’s hopes for a new policy in the relatively near future. It’s also a matter of concern for cannabis companies. As things stand now, those that sell marijuana in any form cannot transport it across states lines, even from one “legal” state to another. That obviously inhibits industry growth and encourages fragmentation in the sector. In 2013 and especially in early 2014, pot stocks were the new big thing, capturing the imaginations of penny enthusiasts and sending the sector soaring. Little attention was paid to the quality of the companies themselves; all that was needed was to claim some association with marijuana. A series of SEC warnings was not taken seriously, but a number of trading suspensions in the first half of 2014 made a strong impression. The market cooled off quickly as investors decided it was in their best interest to exercise more caution in their purchases. But as always, many in the penny world chose to disregard what had happened and blame their favorite scapegoat, Shorty. Short selling has been a topic of intense interest on financial message boards and financial blogs for the past 20 years. Equal to the interest is the amount of misinformation circulated, especially in connection with very cheap penny stocks. Back in the late 1990s and early 2000s, penny stocks were sometimes shorted by professionals and retail players alike, often through Canadian brokerages that specialized in the practice. It should, however, be remembered that the stocks in question usually traded over one dollar—often a good deal higher—and had floats that were extremely modest by today’s standards, in many cases under 10 million shares. Some of the shorting was so-called “naked shorting,” in which the seller does not borrow the shares he intends to sell; he merely sells and, perhaps, picks up a borrow later. Naked shorting was not, and in the strictest sense of the word still is not, illegal. That was established by the landmark case appellate case Sullivan & Long, Inc. v. Scattered Corp. (7th Cir. 1995) 47 F.3d 857, in 1995. The SEC addressed the issue again in 2005, with Regulation SHO. Regulation SHO begat the Regulation SHO Threshold Security List, and later, in 2010, what some choose to call the Reg SHO Daily Short Volume Report, which is generated by FINRA. They are updated each day after the close of trading. Both of these lists are often invoked by public companies and their followers as evidence of abusive short sale activity, which is presumed to account for those companies’ declining stock prices. In reality, neither list is proof of anything at all. The threshold list comes closer: though it does not track short sales, it does track persistent failures to deliver. A “failure to deliver” is the outcome of a transaction where one of the parties in the transaction fails to meet his respective obligations. When a failure to deliver occurs, either the party with the long position does not have enough money to pay for the transaction, or the party in the short position does not own the underlying assets that are to be delivered. Reg SHO created the Threshold Security List to address failures to deliver in an orderly manner. It was not created to punish short sellers or reveal short positions. Reg SHO was designed to clean up open failures to deliver in certain securities when they reached a relatively low aggregate level without creating a short squeeze. Failures to deliver can occur in connection with short sales or long sales; the list does not differentiate. There may be legitimate reasons for them. For example, human or mechanical errors or processing delays can result from transferring securities in physical certificate rather than book-entry form, thus causing a failure to deliver on a long sale within the normal three-day settlement period. A failure to deliver may also result from lawful naked short selling. Once the fails are cured by delivery of the stock in question, the issuer’s name is removed from the list. The threshold itself is determined in one of two ways. If the issuer is an SEC registrant, it is based on a percentage of its shares outstanding; if fails exceed that number, the stock is added to the list. If the issuer is not a registrant, addition to the list will be triggered by failures to deliver that are in excess of a value of $50,000. In some cases, SEC registrants have made the list simply because they’ve failed to disclose a substantial increase in their shares outstanding. Failures to deliver are reported to the exchanges and to FINRA by the National Securities Clearing Corporation (NSCC), the clearing arm of DTCC. Contrary to popular belief, shorts cannot “hide” them, because they aren’t responsible for reporting them. The bottom line is: no threshold fails, no problem with naked shorting. Working together, FINRA and the SEC had created a monster. They had provided companies and their short-obsessed investors with a resource even more seductive than the threshold list. Instead of a mere handful of issues with threshold failures to deliver, the daily short volume offered supposed “short sale” numbers for virtually every stock traded on the national exchanges and over-the-counter. Every day, hundreds of message board posters submit posts about attacks on their stocks by dangerous shorts. Sometimes, they add each day’s numbers to arrive at totals rising as high as trillions of shares. Protests that short interest is a running balance fall on deaf ears. If a company—a cannabis company or any other penny issuer—is being promoted, the promoters may build much of their campaign on expressions of outrage at the “obvious” short selling driving down stock price. Usually the alleged shorts are mysterious “offshore” entities aided by complicit market makers and message board “bashers,” and their pernicious activities are “proved” by the threshold list, the daily short volume list, or both. Email blasts and “analysts’ reports” promise an imminent short squeeze. A short squeeze is a sharp price increase provoked by the relative unavailability of stock shorts can buy to cover. As stock price rises, shorts may receive buy-in notices from their clearing firms, forcing them to purchase immediately, at ever-increasing prices. Several promotional sites specialize in “documenting” short positions and predicting short squeezes. One of these is Buyins.net. The site is run by Tom Ronk, who lost his broker’s license many years ago. Ronk charges users of his site $99 a month for unlimited access to all reports. He charges issuers as well: “BUYINS.NET is occasionally compensated a $995 per month data fee by companies covered in our reports or a third party or affiliate of the company. The author of this report, Thomas Ronk and/or his affiliates, do at times have an ownership position in companies mentioned in our reports, and so do members of his family or affiliates and may profit in the event those shares rise in value.” For that price, the issuer will receive “squeeze trigger alerts” and “friction factor alerts” said to be based on proprietary algorithms. The issuers are free to share those alerts with their shareholders; in fact, Ronk will issue press releases about them. In these cases, what’s really happening is, as with nearly all promotions, that company insiders—dilution funders, S-1 offering selling stockholders, and more—are dumping large positions. Since they obtained the stock they owned cheaply, they don’t necessarily need a higher stock price to profit handsomely. They do need increased volume, which the promotional campaign provides. Cannabis stocks, like all penny stocks in hot sectors, are often pumped and dumped. They are almost never shorted seriously. While some short sellers engage in manipulative techniques, most do not. Falling for the fantasy of gigantic naked short positions is the stuff of fairy tales; it does not lead to the longed-for short squeeze, particularly when the stock in question is the subject of an aggressive stock promotion. Investors should be aware that pot stocks face many challenges. Cannabis is a new industry. More than that, where federal law is concerned, it is previously and currently an illegal industry where growing or selling is present. That means obtaining conventional financing, which is always difficult for penny companies, is impossible. Issuers are forced to turn to toxic funders for money. The funders advance relatively small sums in exchange for convertible notes whose terms provide for conversion at discounts to market price as high as 50 percent. They sell, and then lend, convert, and sell yet more stock. Often multiple lenders are involved. The inevitable result is massive dilution. That is why most cannabis stocks have more than a billion shares outstanding—sometimes multiple billions—and trade at sub-penny prices. Many will eventually be forced to reverse split their equity. Reverse splits are never good for investors. Given the number of new cannabis-related issuers, some must show promise, but figuring out which those are is difficult. Prospective investors should engage in extensive due diligence before buying. In the end, some of these companies will survive and prosper. Most will not. The Controlled Substances Act of 1970 will likely be changed within the next few years. When that happens, Big Tobacco and Big Pharma will enter the arena, with amounts of cash no small marijuana startup can match. A few lucky startups will be bought out; most will simply fail. Participants interested in riding the wave should choose carefully. For further information about Short Sales, please contact Brenda Hamilton, Securities Attorney at 101 Plaza Real South, Suite 202 North, Boca Raton, Florida, (561) 416-8956, or by email at [email protected]. This securities law Q&A is provided as a general informational service to clients and friends of Hamilton & Associates Law Group, P.A. and should not be construed as, and does not constitute legal advice on any specific matter, nor does this create an attorney-client relationship. Please note that the prior results discussed herein do not guarantee similar results.